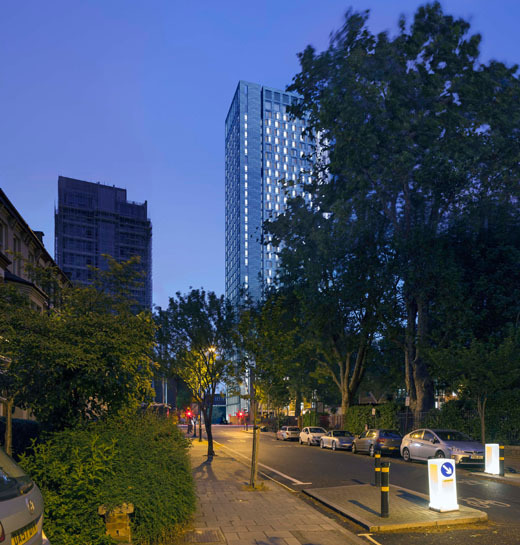 The scheme incorporates 842 student bedrooms within a 37 storey tower and a 6 storey office block. The office block also features a rooftop multi use games area which will be accessible to local residents as well as students. It is expected to transform the current closed-off and railed site frontage into an open, accessible and welcoming entrance plaza. The proposed café on the ground floor would create an active and vibrant frontage on Miles Street, delivering a new place for local residents to enjoy. 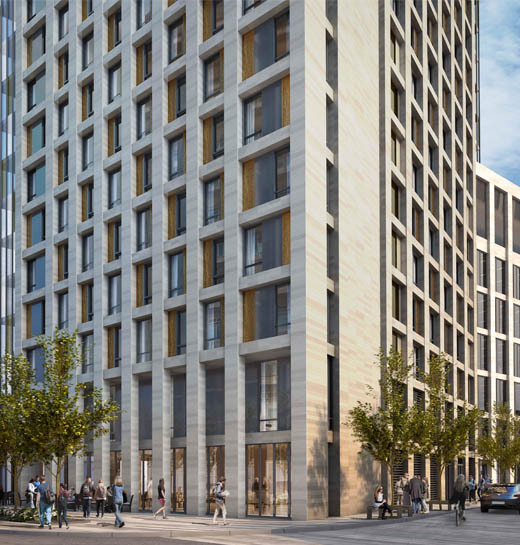 The new buildings would be set further back than the current building line, increasing space for pedestrians along Miles Street with high-quality landscaping introduced around the site, transforming it into an attractive pedestrian route.